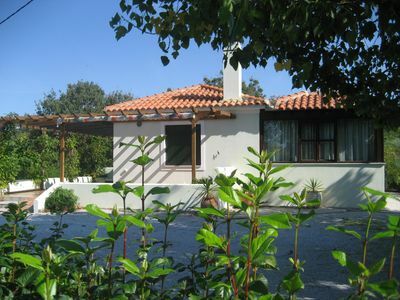 Α lovely house in the picturesque village of Syneti, in the east side of Andros island. 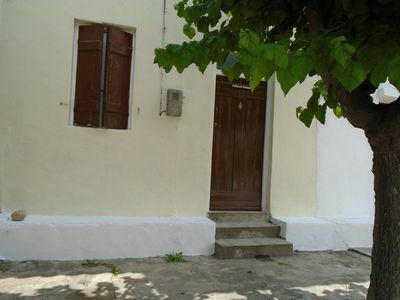 Nearby the sea and close enough to Chora, Andros' main city. Enjoy our balcony's view with a morning coffee and chill out after a long day of touring. You will be 5 min away from the beach, just by following the Dipotamata’s canyon until it ends up in the Aegean sea. A base camp for excursions, sightseeing & an ideal destination for those who love relaxation away from the city buzz. The house is accessed through colourful alleys full of stairs and arcades. After that short walk you reach the main entrance through the house’s balcony. 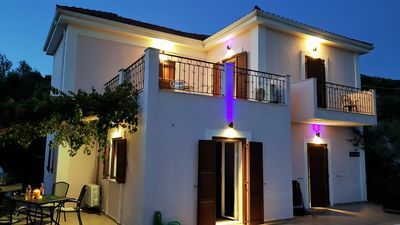 The main space is about 80 m², and it consists of two bedrooms, a living room, a kitchen, a main bathroom and a balcony with a great view of the lush landscape of Dipotamata’s canyon. 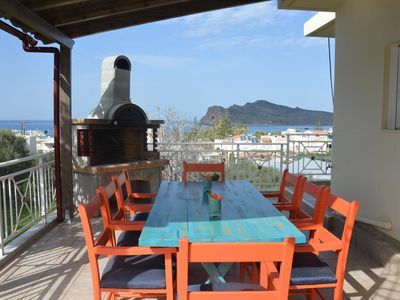 The balcony is highly recommended for your morning coffee, a lunch/dinner or a glass of wine with your family and friends, enjoying the gorgeous outdoor setting. * The kitchen is fully equipped with all the basic amenities for preparing a meal. • You will have the privacy of the entire house. • You can park your vehicle about 2 minutes away from the house in public parking space. 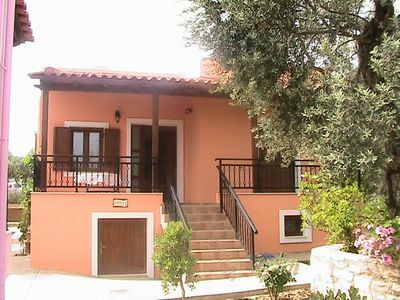 • The house is inaccessible for people with disabilities and wheelchair users. 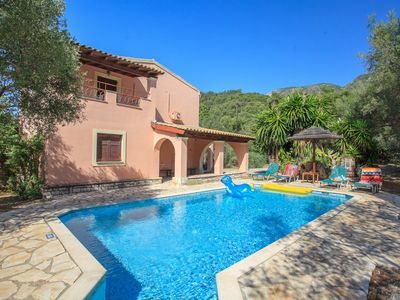 Once a booking is made we will contact you with a confirmation email containing important information such as directions and check in instructions. Someone will always be there to welcome you at the house when you arrive. The owner may normally be absent but our guests will find a welcome letter with all useful information and instructions about the house. If you need any further assistance or have queries regarding your stay, please do not hesitate to contact her by phone or email. She will be happy to assist you with anything you may need during your stay. WE HOPE YOU ENJOY YOUR HOLIDAY! 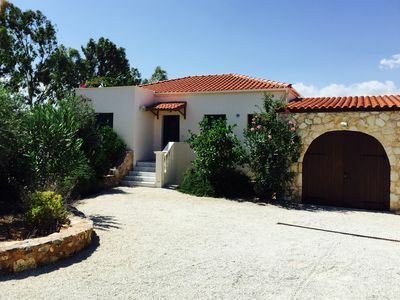 The house is placed in the village of Syneti, in the east side of Andros. It is featuring impressive natural characteristics, located in the heart of Dipotamata canyon and is considered to be an ideal destination for those seeking a quiet place to relax. It is built on the mountainside of Kourvoulo and is located in an area with special geological formations. Just 5 minutes by car, there is the beach of Syneti. One of Andros most famous beaches, it has crystal-clear deep waters and caves with stalactites. Is the place where the mountain’s springs end up. Andros island in Greece stands out for the abundant waters, the tall trees and its numerous beautiful beaches. The island is about 40 km long and a width of 17 km. According to the poet Andreas Embirikos, “the island…is the queen of the Aegean…the most beautiful of all the world”. Andros island, due to its short distance from Athens and its diversity, is ideal for everyone. 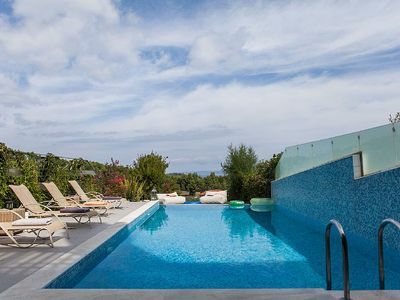 A place to relax, have fun, taste traditional dishes as well as modern cuisine and swim. Explore also the spiritual side, its monasteries and churches. The capital of the island is Chora, a lovely village with narrow paved streets, beautiful mansions and interesting museums. The symbol of Andros is the lighthouse at the entrance of the port of Chora, an old lighthouse that stands on a rock in the sea. You will experience the comforts, but you will come also in contact with the vast nature and its paths. Andros island is a unique destination. It is ideal for short escapes. Andros island is like a miniature of Greece. 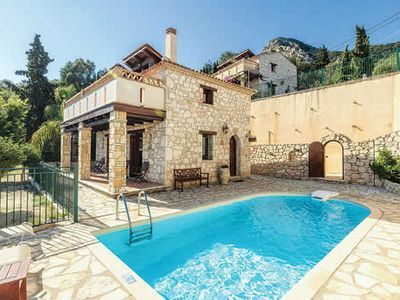 It has countless amazing beaches, high mountains, many ravines, small rivers, valleys planted with vines, running waters, cypresses, oak trees, fruit trees, olives, healing springs. 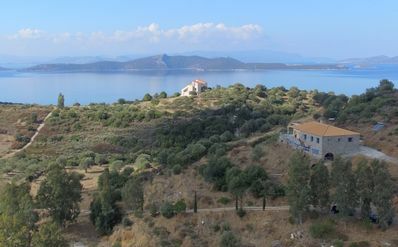 The island has rich geographical contrasts and combines the dry Cycladic landscape with abundant vegetation and waters. Also, rare predators such as Anake-eagle, Petritis and Mavropetritis, a medium-sized hawk with long wings that are among the most endangered species in Europe. Half of their population lives in the Aegean world. The Mavropetritis comes and reproduces in Andros and then emigrates to spend the winter in distant Madagascar. · At a distance of 13 km, about 15 minute by car, the picturesque fishermen village of Bay Korthion, is offering a virgin long sandy beach as well as market, and a few small seaside restaurants to enjoy local gastronomy and coffee while enjoying the sound of the sea. 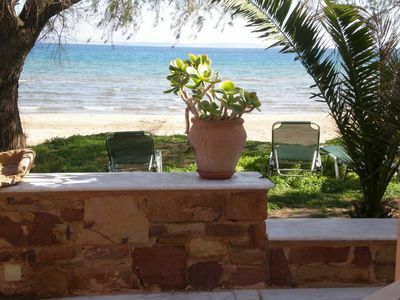 · Andros has many beautiful beaches to satisfy even the most demanding visitor. Other are sandy, pebble others, but all have crystal clear water that you cannot resist their charm. Within 25 minutes by car, in a 15 km distance, a second more sophisticated small sandy beach with a rock in the middle, named “Pidima tis Grias” from an old legend. The island of Andros has 34 beaches of natural beauty and crystal-clear waters, for the visitor to discover. 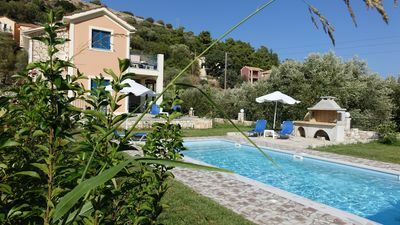 Visit: Zorkos, Paraporti, Vlixada, Pisolimionas, Fellos, Golden Beach, Kipri, Batsi, Agia Marina, Xalkolimionas, Apothikes, Plaka, Agios Iοannis, To Pidima tis Grias, Sineti, Lidi, Neiborio, Gialia (ebros and piso), Axla, Vori, Ateni, Gavrio, Ormos Korthiou. Apart from beaches and natural beauty, the island of Andros has a long naval tradition. Wealthy families with heritage in the ship business, offer tribute to their native land, by creating important cultural infrastructure. Attend music concerts and the annual Festival in the newly – built "Open Andros Theater" (inspired by the ancient Greek theatres) for a quality experience. Gavrion is at a distance of 38 km and it is the main port of Andros. About 55 minutes ride by car to reach Syneti. All ferries from Rafina arrive there. 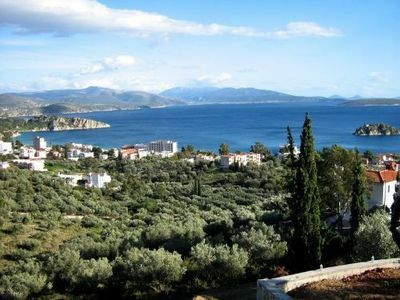 Because of its proximity to the second most important harbour of Attica, Rafina, the island of Andros has become a favourite weekend destination for the Athenians. However, it is also great for long holidays due to the relaxing atmosphere and the beautiful nature. • You are expected to treat the house and all of it’s equipment with care. Any specific rules and regulations for the house and its surroundings must be respected at all times. You are also expected to show consideration and respect towards your neighbors. Please be considerate of noise, particularly in the evenings and at night. • During your stay, promptly report any maintenance problems to the Property Manager. On your departure the accommodation (furniture & bedding) should be left in a reasonable condition. • Do NOT flush toilet paper, paper towels, cotton buds, feminine products, etc in the toilet. Please use the bins provided and help us maintain function of our plumbing system. We thank you in advance for your cooperation on those issues. 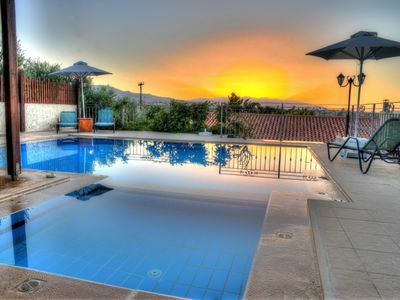 Luxury Villa with Private Pool & Parking near Lixouri Kefalonia. 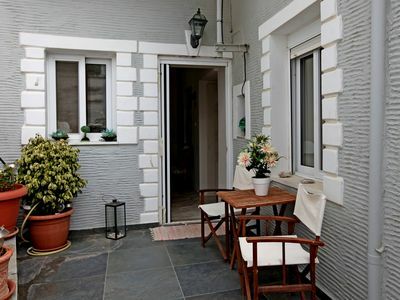 Just 10 min walk from all amenities in Agia Efimia; no car rental is necessary! 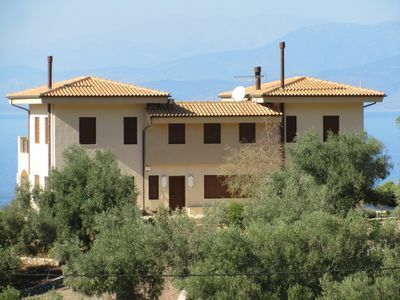 Villa in Tolo,Great view, and lovely environment for an unforgettable stay! 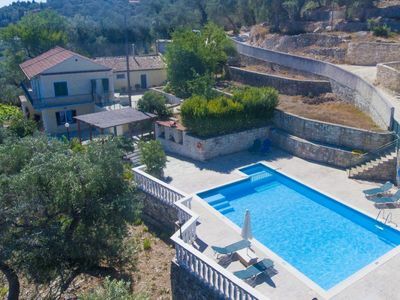 Very peaceful, with astonishing views on the sea ,this house is for people who wish to avoid crowded and touristic places and love long and meditative walks . 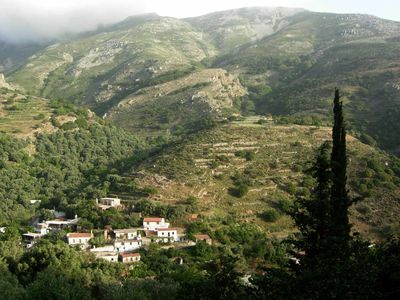 Afroditi, "goddess" of beauty and pleasure in Cretan nature!